Sew Together Exclusive! Create a desk set that is uniquely you! 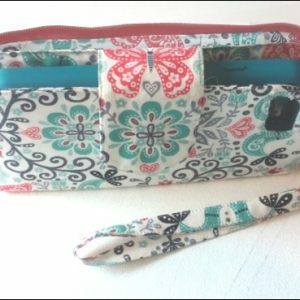 Use double-faced pre-quilted fabric or quilt your own fabric, then have fun making some quick and easy accessories for your desk or purse. 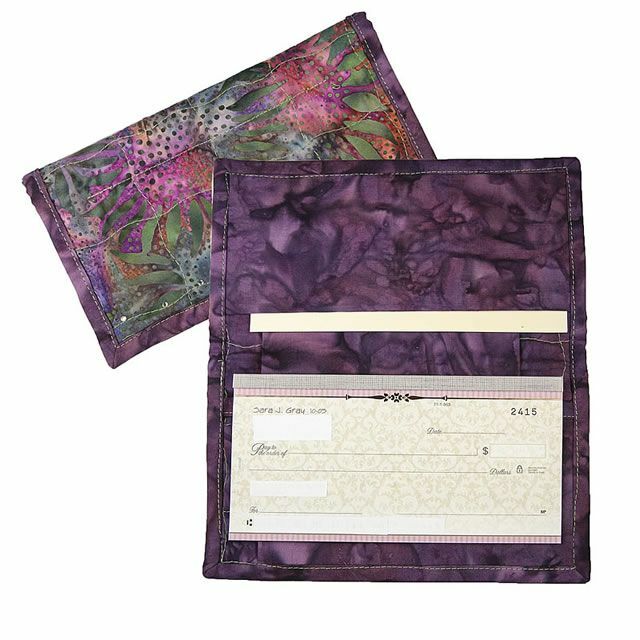 CHECKBOOK COVER is slightly oversized (4″ x 7″) so your checking needs will fit without cramming–even the pen holder is roomy enough for normal pens. Suitable for checks that tear from the top or the side. 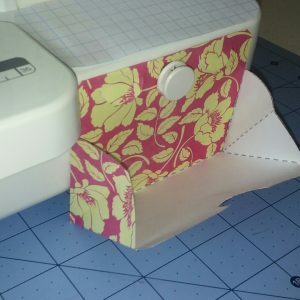 SHOPPING LIST/COUPON HOLDER is made the same as the checkbook cover–just slip a shopping list pad in the checkbook pocket and coupons in the check register pocket. 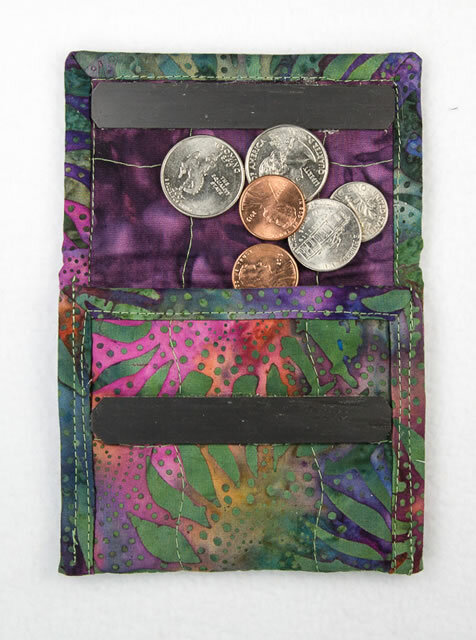 COIN PURSE (3″ x 4″) corrals and protects coins from “bottom of the purse” syndrome. BUSINESS CARD POUCH (3″ x 5″) protects cards (or other small items) and keeps them handy. 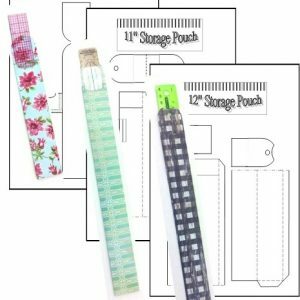 CAN WRAP (4″ x 12 1/2″)(not shown) and a water bottle wrap (5″ x 14″)(not shown) with Velcro closures that adjust to fit your can or bottle. Helps keep your beverage cold and looks pretty, too! These wraps could also be used around candle jars to coordinate with dining room or bedroom decor. EYEGLASS CASE (5″ x 7″) means your glasses will always be safe from bumps. 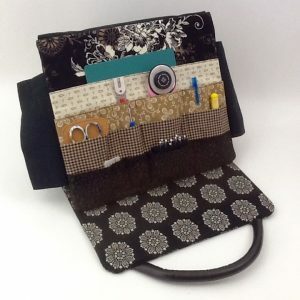 BOOK COVER (not shown), made to fit your appointment book, or just about any other book, completes the set. 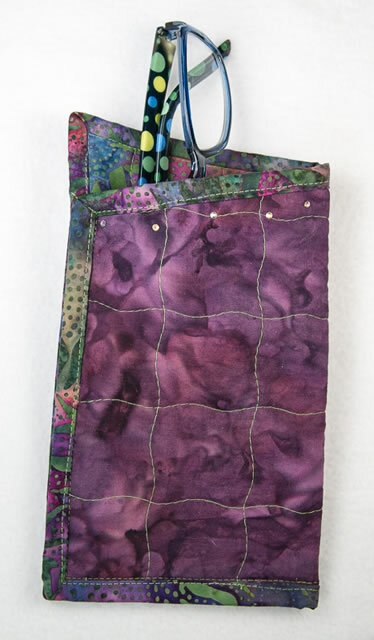 Note: Samples shown were custom-quilted using a built-in curvy stitch set to a long, narrow stitch setting. Crystals were ironed on using instructions that came with crystals.